In the framework of the conference on democratic innovation and local government, organized by the Federation of Municipalities of Catalonia (FMC) and the Pi i Sunyer Foundation, which took place on Thursday, February 14th with the attendance of about 450 participants, they were recognized the initiatives of 81 municipalities that have received the certificate of good practice for the period 2014-2018 within the Bank of Good Practices (BBP). The BBP is an initiative of the Carles Pi i Sunyer Foundation for regional and local studies, which has the collaboration of the Federation of Municipalities of Catalonia, which aims to promote improvement and innovation in local governments. In this event, two good practices led by the Municipality of Vilafranca del Penedès were recognized. One is the VINEYARDS4HEAT project, which uses the biomass of the vineyard to generate thermal energy. To the initial partners, INNOVI, COVIDES and NOU VERD has been added the municipal water company of Vilafranca that manages the District Heat of la Girada and the wine cooperative of La Granada that is currently doing the collection in the vineyards. Among consumers, in addition to some wineries, the Ricard Fortuny Social and Health Center is in the installation phase. 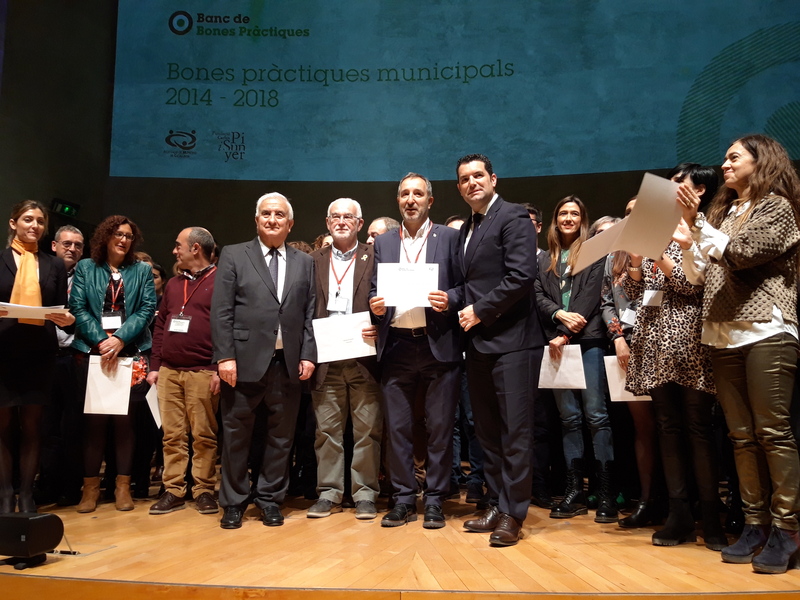 The other good practice recognized is the VILAFRANCA INCLUSION project, which rehabilitates empty dwellings through an agreement with its owners, for a few years to be socially-used dwellings; this improves the city while giving a social use to a large number of homes.